If you want to find out how you can easily speedup the ranking process, you have come to the right place. Our friends over at Estuary Digital have encapsulated how to do this in their blog- thanks guys! For all those looking to rank high, keep reading. 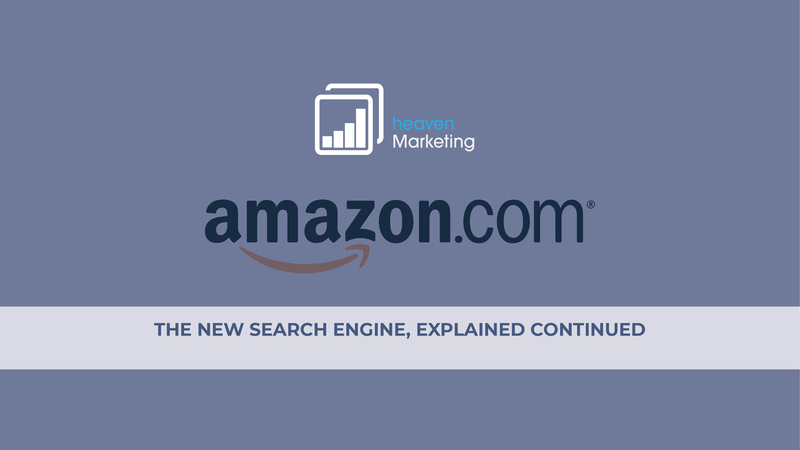 “Did you know that Amazon is creeping up on Google as being the most used search engine? If not, you should. If you are offering a product/service it may be time to get on Amazon; 56% of US, UK, German and French shoppers use Amazon as a starting point… time to set up a profile. Now you know why you may need to set up a seller account, it is time to discuss how you can easily step up the ranking process on Amazon. Essentially, in order to build a presence you need to increase your SALES VELOCITY. This is basically the speed at which you are selling- the best way to increase this quickly? Advertising. Headline search ads are banner ads that appear at the top of search results and in product displays. Product display ads display in a range of places, but mainly within the product detail page, beneath the ‘buy’ box. If you would like to know more about our Marketing Services, please do not hesitate to contact us- Give us a call on 01702 410663 or email us at info@07heavendesign.co.uk today.